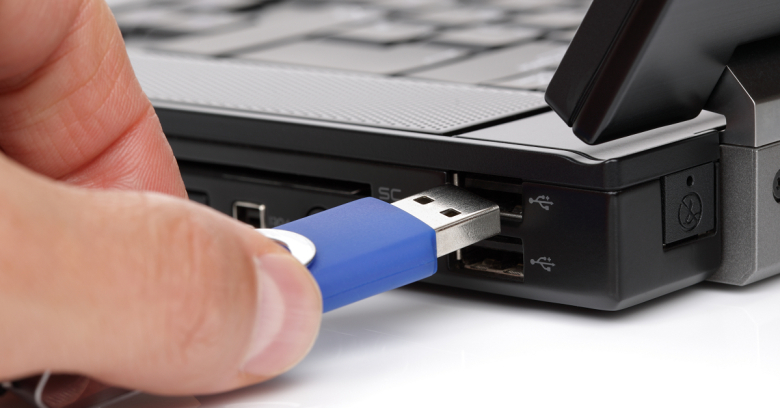 Flash drives are convenient for transferring files between different computers and sharing information with colleagues. However, just like all forms of digital storage, the media can become corrupt and you can lose valuable information. If this happens you may need a professional data recovery service to recover your flash media. However, there are a few things you can do to avoid damage to your flash media and protect your data. In order to learn what steps are necessary to prevent data loss, it's important to understand what exactly flash media is, how it works and what can possibly damage it. Flash data recovery can be a complicated process, so taking proper care of your flash media is critical. Flash memory is computer storage memory that can be electrically erased and re-written. Flash is used as storage in a number of devices, including cellular phones, digital cameras and MP3 players, in addition to USB flash drives. Single Layer Cell (SLC) - can hold only one bit per cell. The most expensive type of flash media, the SLC flash uses less power, has faster write speeds and is a good fit for both industrial applications and holding critical data. Multi Layer Cell (MLC) - holds two bits per cell, and stores two times more information. MLC flash is typically used in consumer products. It is generally cheaper than SLC media, but has a lower endurance limit and fewer program/erase cycles per cell. Triple Layer Cell (TLC) - holds three bits per cell. TLC is the cheapest type of flash media and has higher density. However it has slower read and write speeds and a much lower endurance. Typically only low-end products contain TLC media and it is not recommended for the storage of critical data. Flash media has no moving parts, operates silently and quickly and is smaller in size than most other types of storage media. Flash drives consist of printed circuit boards covered in plastic or rubber casing. They plug into computers via USB ports or a special adapter. On modern computer systems, there is no need to install drivers or reboot the system in order to access data on a flash drive. They also do not require an additional power supply to operate. USB flash drives are generally preferred over other types of storage media when transferring files due to their small size, fast speed and large capacity compared to other portable media. In much the same way that a rechargeable battery loses its charge after several hundred cycles, NAND flash components can also lose their ability to retain data after thousands of write/erase cycles. This is usually specified by component vendors as endurance. The endurance of SLC Flash is ten (10) times greater than MLC Flash and twenty (20) times greater than TLC. This is the main reason why SLC Flash is considered industrial grade Flash and MLC Flash is considered consumer grade Flash. Essentially, the older your flash drive gets, the less reliable it becomes. This gradual degradation doesn't require any extreme environmental situation or physical damage to occur either. On NAND Flash, there is also failure factor call "retention". "Retention" is how long the cell would maintain its programmed state when the chip is not under power bias. This parameter is very sensitive to and also very dependent upon external environment. High temperature tends to reduce the retention duration. The number of read cycles performed can also degrade this retention, especially on TLC drives. Condensation from high temperatures or high humidity can also cause the shorting of circuit board or corrosion of contacts. One of the most frequent reasons for USB flash drive data loss is removing the media from the computer or other device incorrectly. The most common result from doing so is logical file system damage. Typically, in this situation your drive is not actually damaged even though your data is lost. But in some rare cases, the unsafe removal can also damage cells, which hold internal flash drive information, and cannot be accessed or repaired by operating systems. To extract information after this kind of failure you need help from a data recovery services professional. For this reason, it is very important to safely remove the device from the system and never unplug a USB flash drive while it is reading or writing information. As with all storage media, the best possible way to avoid disaster is to frequently back-up all important data. Without a verified back-up, a single point of failure can lead to data loss. ACE Data Recovery can often recover USB flash drives, but the process can often be costly and time-consuming. A proper back-up is always the preferred option. Due to the limitations of flash technology, flash drives should not be used for frequently updated files. It's also important to use reliable flash memory, such as SLC flash, for critical data and important applications. Also, you should make sure to always remove flash media safely and never unplug the drive while it is reading or writing. Removing your flash drive incorrectly can corrupt the data. Flash data recovery may be your only option if you do not follow this important step. Storing flash media in proper conditions and not exposing your flash drive to extreme temperatures, humidity or pressure will keep your drive functioning longer.